The Carleton Black Student Alliance is a multi-cultural organization dedicated to enhancing the lives of Black students at Carleton through political action, community action, and social events. Understanding that the world changes for the better through the determined efforts of concerned people, and that we are strongest when we are united, BSA exists in order to create that unity and foster that change in hopes of furthering the cause of equality. 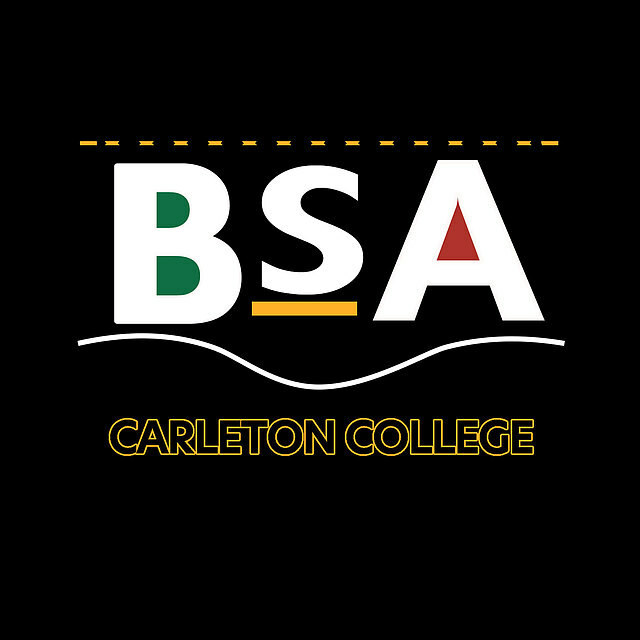 As a student-run organization, BSA is responsible for advocating for the students at Carleton, taking political stands, and creating the sense of community necessary to unite students to work for positive change. On campus, we strive to meet the needs of the Black community by holding weekly and/or bi-weekly meetings that are pertinent to the lives of Black students on campus and that create a supportive community for all Black students at Carleton. BSA also creates a sense of a safe and active community in order to adequately represent and respond to the Black community. This sense of community must come from both current social activities and from a sense of shared history and culture. Our strength comes from not only the collective struggle of our contemporaries as well as the cumulative struggles of thousands who have sacrificed before us. Let us strive in our efforts so that we may fulfill the dreams of those who struggled before and brighten the futures of those yet to come.